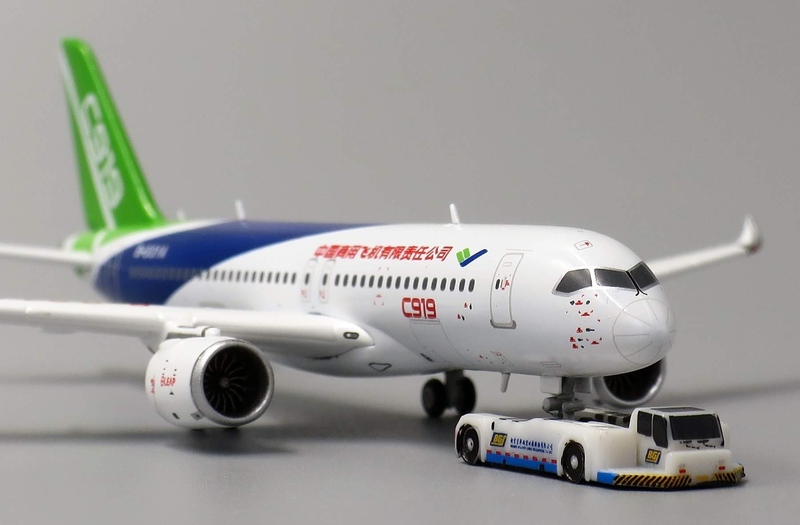 The Comac C919 is a narrow-body twinjet airliner developed by Chinese aerospace manufacturer Comac. The programme was launched in 2008 and production of the prototype began in December 2011. It rolled out on 2 November 2015 and first flew on 5 May 2017. 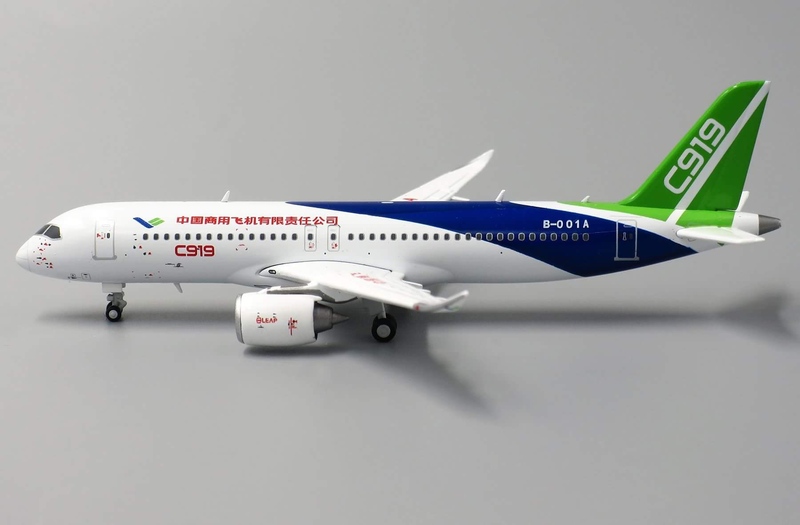 The C919 is planned to enter commercial service in 2021 with China Eastern Airlines. 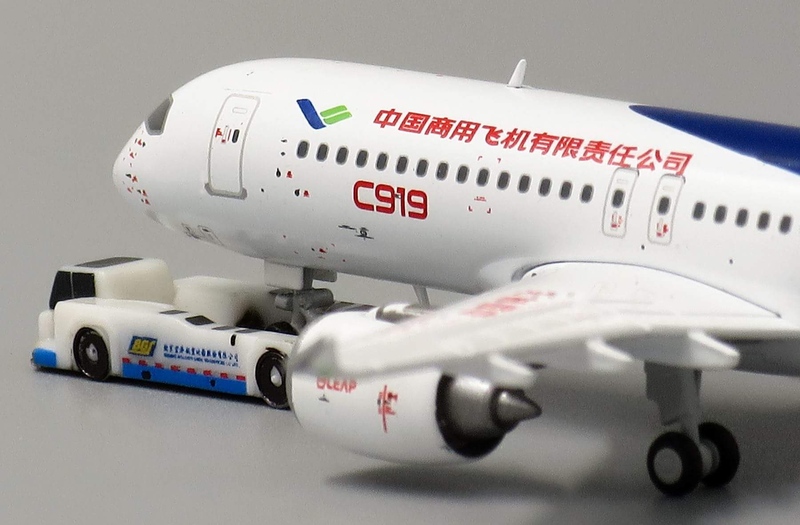 The aircraft, primarily constructed with aluminium alloys, is to be powered by either CFM International LEAP or ACAE CJ-1000A turbofan engines, and can carry 156 to 168 passengers in a normal operating configuration up to 5,555 km (3000 nm). 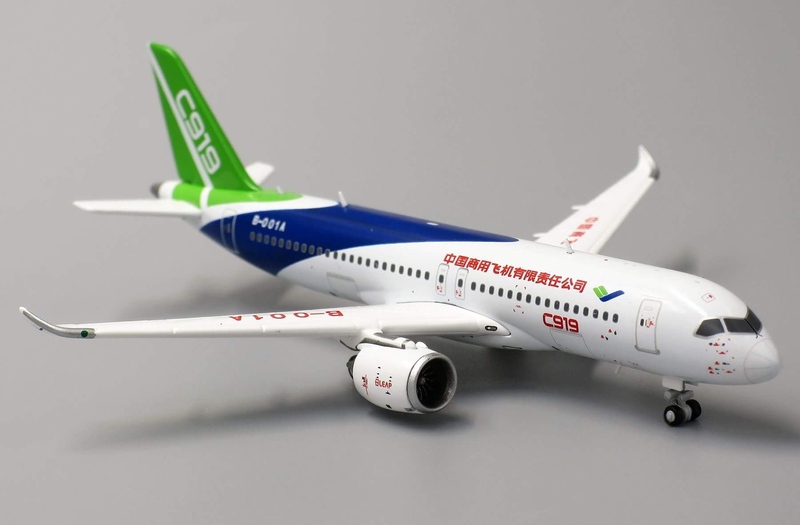 It is intended to compete primarily with the Boeing 737 MAX and Airbus A320neo. 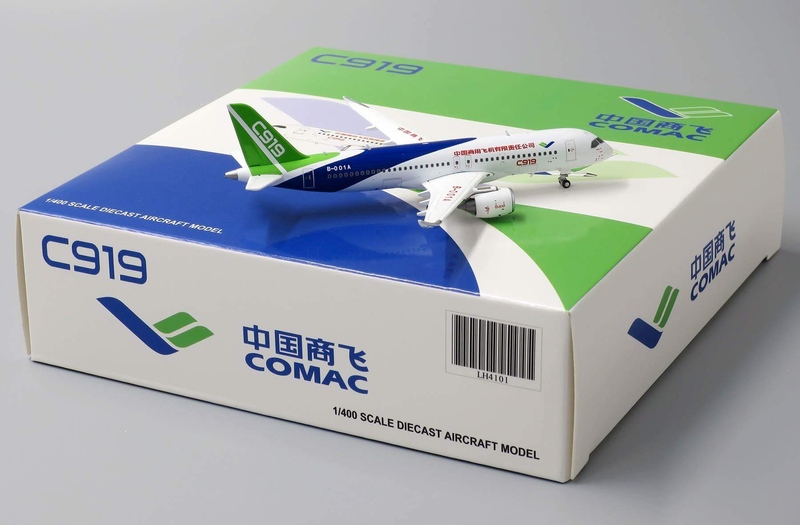 As of July 2018, Comac has 1,015 orders mostly from Chinese leasing companies or airlines with the exception of GE.